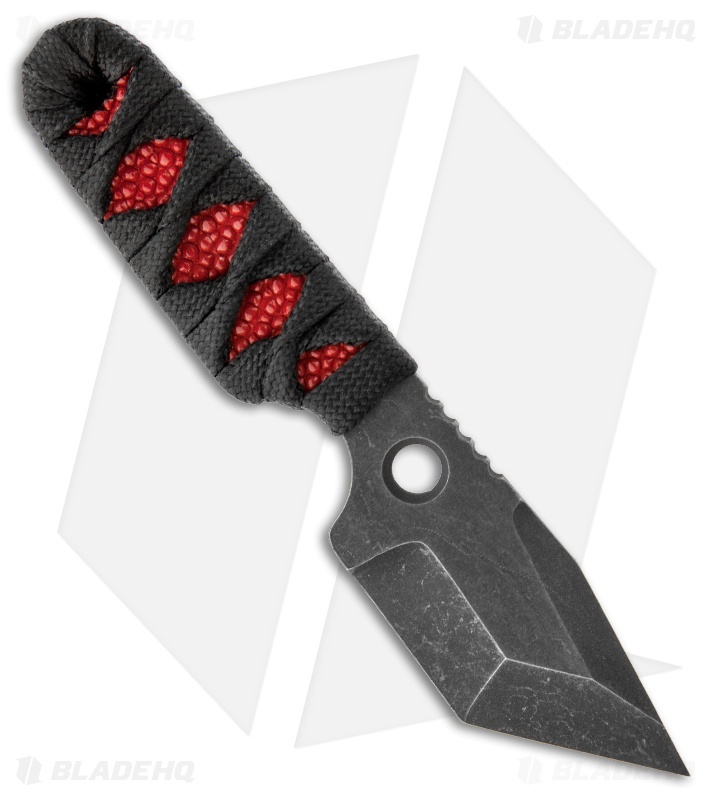 This Tanto Dashi Gen 2 Neck Knife from Sam Eddleman has a acid wash finished 154-CM steel modified tanto blade with a hollow chisel ground edge and the Eddleman Knives logo up front. The handle has a katana style nylon cord wrap over red rayskin. 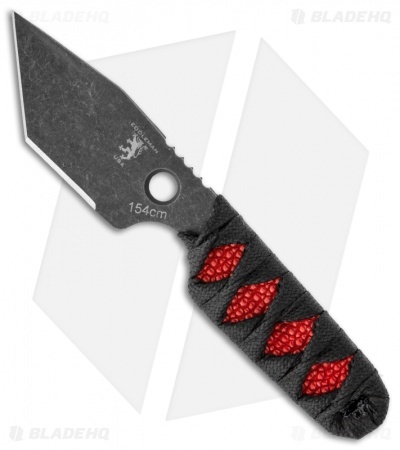 This knife comes with a Kydex sheath and ball chain for neck carry.